The youth group made the declaration in a statement by their National President, Alhaji Gambo Ibrahim Gunjunju yesterday in Abuja. region were playing over the health of the President to keep out of office and take over. 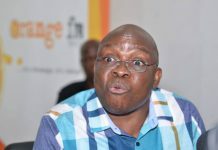 The Northern youths said the South-West politicians were using Ekiti State Governor Ayodele Fayose and a PDP chieftain to champion their cause. They maintained that the North would resist any attempt to take over power from them now or in 2019.
understand their game and will shock them when the time comes. recent call for the expulsion of those from the North, some people want to show us that they understand the game of politics more than us. But they are in for a surprise. the truth of the situation. drastic changes in the country. Many people will be surprised when he comes. presidency. In 2019, the North must complete its eight years. “This region can no longer continue to be taken for a ride”‎, he vowed.